Summer is in full swing with plenty of BBQs and lazy days full of family fun. Summer is also an ideal time to take care of home maintenance chores, especially if you’re planning to sell your home soon. 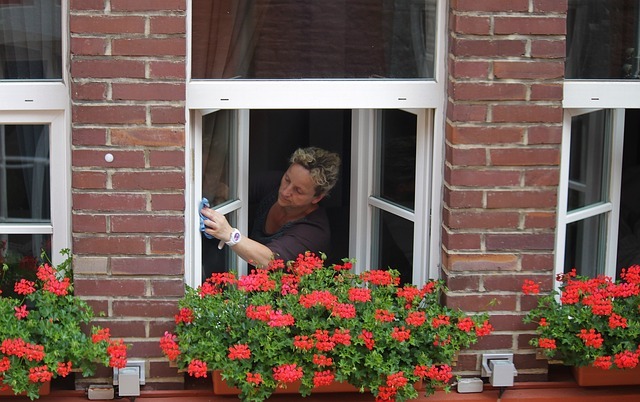 With the drier season at hand, it’s easier to get your windows and the exterior of your home washed, and it’s a great time to add a fresh coat of paint in any room. But there are also some deep-clean chores which if done now can make the transition into the cooler months easier. Dust accumulates throughout a home year-round. If you have ceiling fans, you’ll find out just how dusty they can be the first time they’re turned on for the season. Ceiling fans can be a challenge to clean, but it’s worth keeping dust to a minimum with these, especially if anyone in the house has allergies. Bathrooms can also use some attention in the summer months. When was the last time you cleaned the air vent in the ceiling? This can become clogged with dust which will lessen the air flow of the vent, which is important in keeping mold and mildew at bay. Faucets and showerheads should also be cleaned to remove any deposits which can build up inside. While the weather is warm it’s an ideal time to give your floors a deep-clean, especially carpets as they’ll dry faster at this time of year. Shampoo carpets and wash down wood or tile floors, applying a sealant to extend their life. While you’re at it, summer’s also an ideal time to treat your wood decks and patios too, let the sun quick-dry any stains or weather protective coatings. 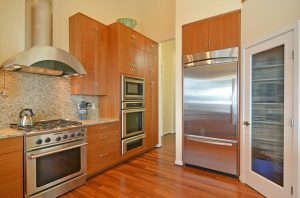 It’s easy to forget about our appliances, but they do need a regular cleaning to keep them running well. Cleaning behind the refrigerator and under the washing machine and dryer are a must, as is the oven range and hood. Pay close attention to refrigerator coils, dryer vents and filters. Speaking of filters, if it’s been a while since you’ve changed the filters in your furnace, air conditioner (check this often if it’s running a lot in the summer), and the HRV (Heat Recovery Ventilator), now’s a great time to get it done, you’ll be glad of it come the winter. Don’t forget to also replace any water filters you use. Summer is also an excellent time to clean out your storage areas. If you’re planning to sell in the coming months this will be important to take care of before you list. It’s garage sale season, why not get started clearing out your excess items now? Anything you don’t sell can be donated, and you’ll be happier with the extra space in your home. Get more information about Summer home chores and maintenance tips from this review by Today’s Homeowner. When you’re ready to buy or sell a home, you want the process to go smoothly. The Jim Powers Team of local experienced Realtors® is here to help you. Visit our website to learn more, then contact us or give us a call at 717- 417- 4111.